Next, consider whether the patient has any special issues [Section 29] that need to be considered. 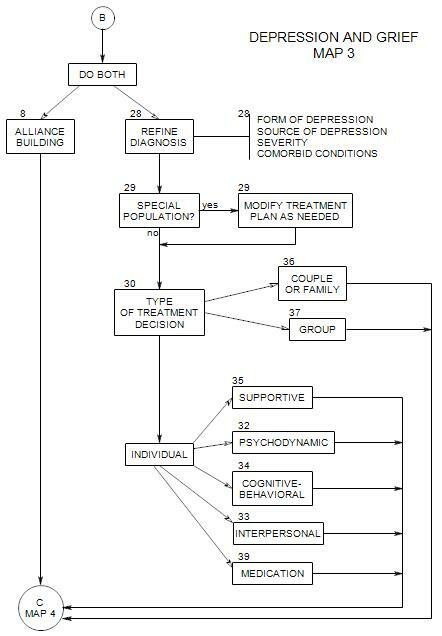 The bulk of the map addresses the preferred type of treatment [Section 30] – individual, couple, family or group for this patient. Because there are so many options for individual treatment, it is further divided on the map. Having decided on the type of treatment for this patient, go on to Map 4.